1 Blemished Available: $175.99 This item is available as a Blem/Refurb. These are items that cannot be sold as "New" merchandise and are limited to stock on hand. See the product details for a description of the product's condition. Note: We have found the GT-R Air 2 Jacket to run a half size smaller than the previous GT-R Air Jacket and suggest going up a size if you are between sizes. Fit true to size, great air flow for those hot summer day, plus good protection. Form fitting and stylish. This is my go to around town jacket. Runs small so size up for broad shoulders. 6', 200lb, 44" chest - 2XL fits perfect. Feels great and the seesmart armor keeps it form fitting and light. If CE level 2 armor is not an issue this is a great jacket. Good mesh breathability. So much air/ Worth the price! Don't usually write reviews but had to for this jacket. I got the white version and upon first impression everything seems well stitched and put together. The mesh is placed in the appropriate spots and does not bulk up when riding. Air flows freely and without any issues, even at a stop light i can still feel a breeze throughout the jacket. I was worried that textile parts on the jacket would get hot and sweaty while sitting in 85°F weather but it does not. This jacket is really worth $200+ considering that you get pockets throughout as well as CE armor on shoulders and elbows. I only found one con (may not be even a con just me nit picking) the stitching on the white version looks a bit off white (does not match the color of the white on the textile), it doesn't bother me that much but its something you need to get used to. Overall 4.8/5 on my scale. Overall it is a good jacket but for that price REVIT should have done better. 1) I wish there was a removal windproof liner. This jacket flows a ton of air which is amazing in the summer during the day but it can get very cold wearing this jacket in the morning or late at night. 2) The cuffs are very wide and it is not possible to adjust them. As a result the part of the jacket covering the front arms are a bit loose. On the other hand, the section covering the biceps is way too tight. 3) Coming from Alpinestars the inside pocket is waterproof. It's a really nice feature to protect your wallet if it starts raining on you. Too bad REVIT doesn't have a waterproof pocket either. Excellent product, very happy to buy!! Stylish and comfortable but poorly constructed. I don't typically write reviews, but I felt compelled after the stitching holding the sleeve to the chest panel started unraveling the third time I wore this jacket. First, the good: it's comfortable, stylish, and fits true to size. Air flow is pretty decent and it will keep you cool in the summer. The bad: as I mentioned above, the stitching holding the right sleeve to the chest panel started completing unraveling the third time I used this jacket for a short ride. No falls, no impacts, no abuse, and it has been hung up in a dry closet after each use. This is a poorly constructed item and a poor value as a result. Don't trust your life or limbs with this product. I've been wearing this jacket all season with no complaints. It feels premium, vents well and with the optional back protector makes me feel more secure. On the colder days I just wear my Northface thin thermoball under it...fits ok but a bit snug when you layer. Haven't ridden much rain in it but that isn't its purpose. I like the white for visibility without looking obnoxious. Would buy Rev'it again. Bought this to replace an old icon handme down. The jacket is comfortable and not bulky. Runs a tad smaller so if you're on the top half of the small end get a medium. It's not got a lot of features but is great looking, definitely doesn't look or feel cheap. Rode in 91 degree and 80% humidity around town for 2 hours and was warm but pretty cool for having on a jacket with armor. The armor is form fitting and hard to tell you have it in. Hopefully it lives up to its claims of CE level 1, but not trying to test that just yet. My main problem with this jacket is when your in a "riding position" the material on top of the shoulders bunches up and starts flapping causing terrible wind buffeting. The "shoulder" armor barely reaches the top of your shoulder ! Every jacket I own a portion of the armor is over lapping the top of your shoulder. There is no adjustments for the shoulder armor. It's just terrible placement. I spent days studying this jacket before I pulled the trigger. I was between sizes and ordered an XL. Standing with the jacket on it fits perfect in all the right places and looks great... Only problem is when you actually get on a motorcycle ! I like reviews of motorcycle gear because they're a lot like insurance reviews. All 5 star until you rely on it, then sometimes it stays 5 star and others it goes all the way to 1. A bit like my skin. About 40-50 mph onto gravel and older tarmac of a back road up to Finchingfield. The jacket sleeves rolled up from the panel not the cuff and the textile fell apart under what was a painful but light crash falling onto my right side. My advice would be not to buy it because it won't stand up when asked for anything more than 30 mph. Try some other summer gear instead. Can you compare the quality of the armor to he armor that comes in dianese jackets? 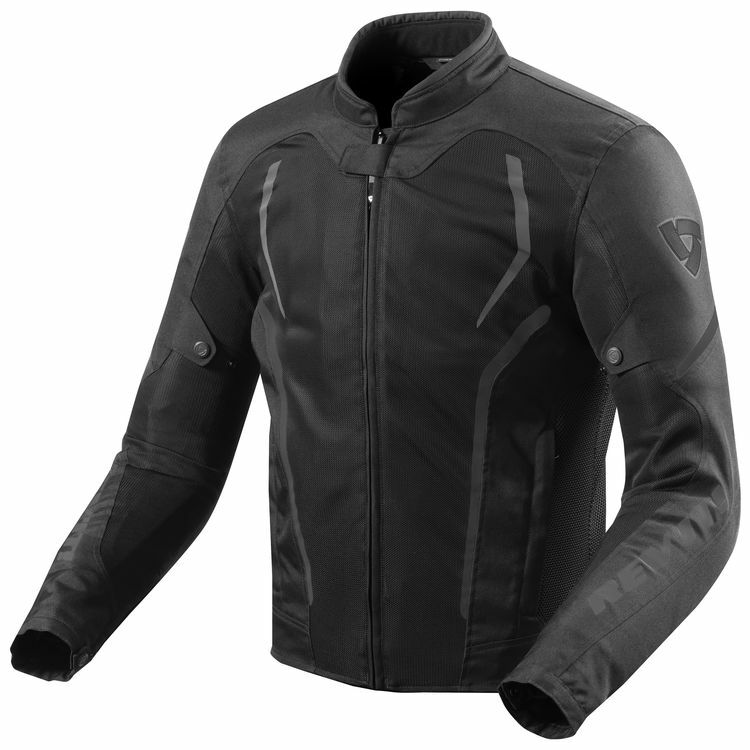 BEST ANSWER: I had a Dainese jacket prior to this and I would say the armor is comparable, if you have had the Wave G2 for the Dainese back protector and compared it to the Seesoft I would say the Dainese seems like it would offer a bit better protection but overall very comparable. Hope that helps! 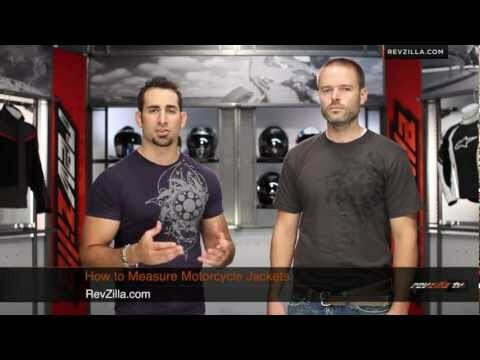 IF I were to get Seesoft CE level 2 Type RV back protector with this jacket should I go one size up? and if I do, how will it fit me at my arm and wast? BEST ANSWER: I wear a small t-shirt but on the cusp at the chest for the medium. I got a medium and i can fit a sweatshirt under it. Will be very form fitting with both. The jackets do run just a little small. I added Seesoft to my jacket and it really had no impact to the fit. I would not recommend going up a size. Does it have a optional pocket to change the elbow and shoulder protections to a higher level like the back protector? BEST ANSWER: Yes, you can remove the pads so you should be able to if you can find ones that fit. The base armor is pretty good though. 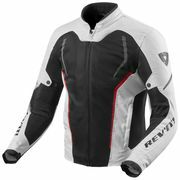 Will the revit seeflex shoulder and elbow protectors fit into the gtr air2 jacket? What size is the zipper for pants connection? I have Joe Rocket pants with 8" zip. BEST ANSWER: It’s about 8”. I bought this jacket about a month ago. It also has 2 loops with button fasteners on either side of the pants zipper. How long are the sleeves on the medium or large jackets? BEST ANSWER: They aren't too short...just right. Does this have a longer than the airwave 2?